Tariffs of 25 percent were levied on Chinese-manufactured woodworking machinery and panel processing equipment beginning Friday 6 July. It’s part of a trade battle being waged on several fronts by the Trump Administration, and which appears to be escalating as China retaliates with tariffs of its own - primarily on agricultural products, tobacco, and vehicles. The U.S. begins collecting ( click for list) 25 percent tariffs on planing, milling or moulding machines for working wood, as well as grinding, sanding or polishing machines, bending or assembling machines and related machine tools for working wood. A preliminary list issued in April by the was narrowed to a final list of 818 items with wood industry technology among them, issued June 15 by the Office of the United States Trade Representative. 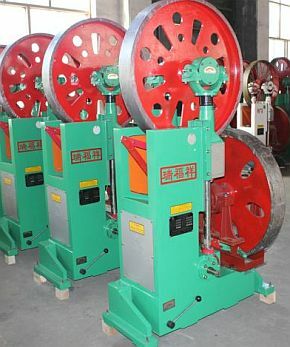 Also included are presses for making particleboard or fibre building board of wood or other ligneous materials, and machinery for treating wood. President Trump has called for an additional US$200 billion in tariffs on Chinese imports. Analysts speculate that this list could include more consumer products, possibly furniture - which ranks 6th among the top 10 imports from China to the U.S. (after vehicles, metals, plastics, apparel, and footwear). The wood industry news channel Fordaq cites a report by the International Tropical Timber Organization Trade of wood products between China and the U.S. already trending downward. Late last year the U.S. slapped China's plywood industry with countervailing duties after a Commerce Department analysis showed the engineered panels were being sold at its cost below cost of manufacture. Data from China’s Customs Department show the value of wood products trade between China and the U.S. fell 16 percent in March 2018. China’s imports also dropped by 5 percent, though overall first quarter showed a 9 percent increase in Chinese exports of wood products: China's imports rose 6 percent to US$2.28 billion during the period, while its exports to the U.S. rose 10 percent to US$3.98 billion. China’s fibreboard exports to the U.S. fell 11 percent to 71,200 cubic metres and plywood exports to the U.S. dropped 31 percent to 360,000 cubic metres in the first three months of 2018, says Fordaq, noting that as exports to the U.S. decline China's exports of panel products to Nigeria, Kenya and the UK are rising.